My name is Michael Davies. I began studying Tai Chi in 1979 - over 40 years ago. I formed the White Crane Bamboo Club in 1996 and I am currently a senior instructor and Honorary President of the Tai Chi Union for Great Britain. In 2011 I wrote only the second book on the Chinese Wand Exercise, an ancient therapeutic practice using a four-foot stick. 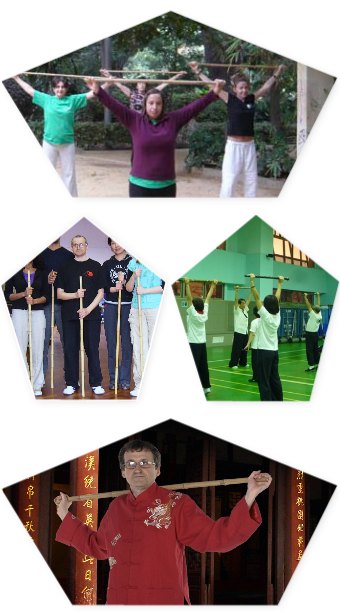 I later saw the potential of using wand techniques to expand and enrich Tai Chi and set up Tai Chi Wandwork. Although I now focus on wand exercises I still teach some Tai Chi, mainly in classes for over-50s run by local councils / Age UK. I am also involved with White Crane Bamboo Club on Saturday mornings. For details of Tai Chi tuition please refer to the White Crane Website.